California is home to a number of famous roads, highways, and freeways, from the Pacific Coast Highway–”the One”–to the West Coast terminus of Route 66. But for wine lovers, there’s no more important route than Highway 29, which runs through the heart of Napa Valley. The views are gorgeous, and feature rolling vineyards in greens and golds, the larger-than-life peaks of the Mayacamas Mountains, and elegant wineries–from the ivy-covered stone buildings of historic structures to the ultra-modern architecture of newer estates. Highway 29—also known as the Saint Helena Highway—makes for a great roadmap to some of the Napa Valley’s best wine tours and wine tasting experiences. Below, discover a few of Beau Wine Tours’ favorites from all over the Napa Valley! Among the many stories of hardship and success in Napa Valley, Chris Madrigal tells his with more honesty than most. It’s possible Madrigal is only being modest; over three generations, the Madrigal family immigrated from Mexico and started by farming fruits and nuts until Chris’s father Jess opted to focus on wine grapes. Today, the winery sits on forty acres of vines and produces 6,000 cases of highly sought after wines. Their portfolio includes Cabernet Sauvignon and Sauvignon Blanc, as well as less common bottlings like Gewurztraminer and Petite Sirah. Madrigal is a great place both for the wine offerings and for the friendly hospitality of the Madrigal family. When Teresa Norton and Tom Paine planned their retirement, it didn’t include planting Cabernet Sauvignon in their backyard. But the estate they had acquired for their golden years was perfect for vines, and before long, they had three acres of vineyard. That was in 1989; today, Vineyard 29 bottles wines made from fruit throughout some of the best vineyards in the Napa Valley, including their home vineyard, the famous Aida Vineyard the couple purchased in 2000, and other select sites. Vineyard 29 relies on an “Old World” method of winemaking called “elevage.” During the process, each vintage is raised as delicately and attentively as a child. Grapes are sorted twice by hand, and then processed through their specially-designed gravity-flow winery. The winery generates not only its own electricity, but its own climate control. The working wine cave leads to a Wine Library, 75 feet below the Sauvignon Blanc vines. The Wine Library contains samples from each distinct portfolio made by Vineyard 29, including their bottlings from the Estate Vineyard, the Aida Vineyard, and the CRU series, which represent both Napa Valley and Willamette, Oregon AVAs. Don’t miss the Vineyard 29 Library Food and Wine Pairing Experience. It starts with amazing views from the winery’s terrace and ends with a paired flight of wines deep underground. If your wine tour would prefer to stay above ground, an Essentials Tasting is also available. You’ll appreciate panoramic views of the valley and consume a flight of the CRU wines. Both are available by reservation only, so be sure to book ahead! Dr. Madaiah Revana started his career in wine as a cardiologist in Houston, Texas, where friends introduced him to fine wine and ignited a passion for Cabernet Sauvignon. Once Dr. Revana secured some prime acreage in St. Helena, he knew he wanted to honor the potential of the land and the region with the best possible viticultural and winemaking practices. To that end, he hired vineyard manager Jim Barbour and renowned winemaker Heidi Barrett; they helped craft the Estate Vineyard and the winemaking philosophy that shaped Revana into the lauded label it is today. Now the wines are made by Thomas River Brown, who has won multiple 100-point scores from both Wine Spectator and The Wine Advocate for his Cabernet Sauvignons. Revana’s Cabernet Sauvignons are only available through allocation, but you can taste a vertical flight of library vintages by advance appointment. This tasting makes for a unique educational opportunity for your Napa Valley wine tour. Revana’s Cabernet Sauvignons are carefully produced from the same vineyards year after year, and by tasting different vintages of these wines against each other, you will not only broaden your palate but also your wine knowledge. This wine tasting is not to be missed for wine lovers who also love to learn! 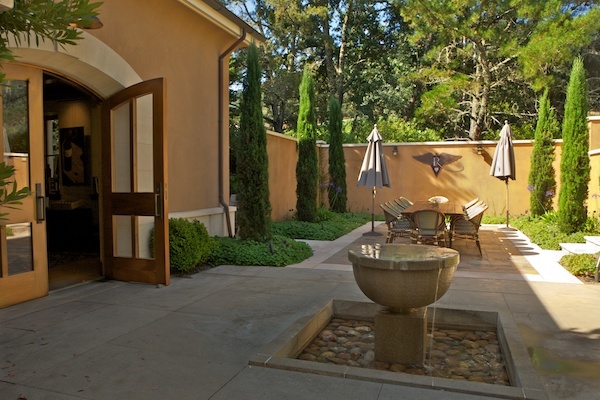 Whitehall Lane was recently ranked “Best Tasting Experience” in Napa Valley by Napa Valley Life Magazine. Named by its original founders in 1979 for the road that runs the length of the property, Whitehall was taken over by present owners, the Leonardini family, in 1993. The Leonardinis went beyond revamping the winery and winemaking program. They expanded the business to a full 140 acres, including the original Estate property in St. Helena. The Whitehall Lane vineyards include prime real estate in Rutherford, one of Napa Valley’s best known AVAs for Cabernet Sauvignon. This acreage is cared for with cutting-edge technology like wireless capacitance probes. But they also utilize old school methods like daily walks through the vineyards by the winemaker and vineyard managers. Still run by the family, Whitehall Lane aims to produce world-class wines and share them with the hospitality they’re famous for. At Whitehall Lane, you can taste everything from vineyard-designate Cabernet Sauvignon to Malbec. Even sip on a Carneros Chardonnay and a Rosé made from Syrah. For your award-winning wine tasting experience, you have plenty of great options – stroll the gardens for a Vineyard Tasting, or keep it casual with a current release flight in the main tasting room. Upgrades to library or estate tastings are available, as well as tours of the winemaking facility. Both are definitely worthy additions to your Napa Valley wine tour! The Staglin Family is a perfect example of the Napa Valley ethic – not only have they carefully nurtured the historic estate they purchased here some thirty-two years ago, but as they developed it into a state-of-the-art winery, they did so with an eye to both conservation and philanthropy. The result is a world-class facility that produces exemplary Napa Valley wines in a beautiful environment. The estate itself sits at the base of the tallest mountain in the Mayacamas Range, Mount St. John. Its sixty-one acres of ideal soil and microclimate were first planted to vine in the 1860s, but were redeveloped in the 1960s under the watchful eye of famous viticulturist and winemaker Andre Tchelistcheff. When the Staglins acquired the property two decades later, they worked closely with Tchelistcheff to configure the vineyards to fit their goals. 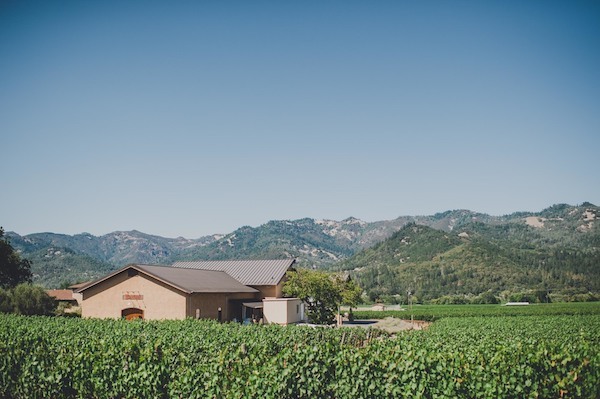 Today, their certified “Green Business” property produces lauded Cabernet Sauvignon, Chardonnay, Sangiovese, and a Bordeaux blend in their sustainable, underground winery. Wine tasting at Staglin Family takes place in the historic Stekter House homestead, built in 1864, and includes a tour of the vineyards and winery. Be sure to ask about their second label, Salus, from which 100% of proceeds go to research on mental health, only one of the family’s many philanthropic ventures. Stop at Staglin Family for the wine tasting, but also to learn about the causes the family supports! Few wineries or wine families can claim deeper roots in the Napa Valley than Ren and Marilyn Harris, owners and founders of Paradigm. Marilyn’s family moved to the Napa Valley in the late 1800s, while Ren’s immigrated as far back as 1769. They built their business from scratch, starting with a modest prune orchard in 1976. Today the land is home to 55 self-contained acres of vineyard, winery, and the Harris home. With these deep roots comes a respect for the land and what it can produce, and Paradigm’s winemaking philosophy rests on the idea that the fruit knows best. With famed winemaker Heidi Barrett at the helm, Paradigm wines are cultivated by hand from root to bottle and the results are hard to argue with. Varietals include Cabernet Sauvignon as well as Cabernet Franc, Merlot, Zinfandel, and Petit Verdot. To try some for yourself, you’ll have to go straight to the source – the production and the winery staff are so small that wine tasting is by appointment only. Treat yourself to Paradigm’s unique expression of the Napa Valley, driven by the wisdom of the fruit itself! Highway 29 makes for the perfect Napa Valley wine tour route, and Beau Wine Tours is here to help you find and schedule unforgettable wine tasting along the way!